SALE SECTION - items in our sale section are highly discounted. These items either didn't make our strict quality cut, are samples/ one-offs or discontinued products. Items sold in this section are final sales and can not be returned or exchanged. If there is an irregularity in the garment including a tear, hole or weird dye spot we'll let you know. Otherwise enjoy the deal! We'll be listing new items in this section weekly so check back often! 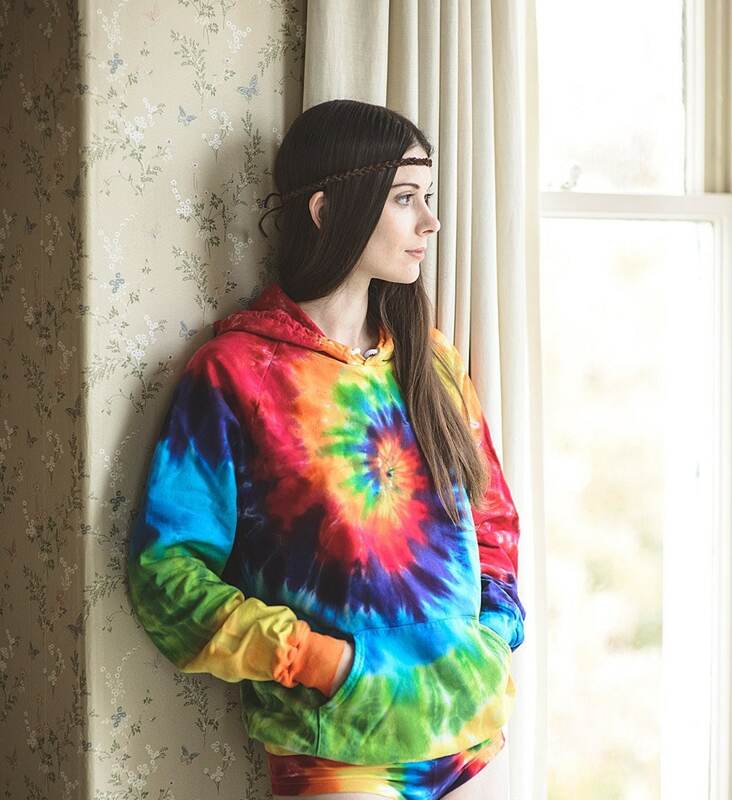 The classic rainbow hoodie never gets old. It's always our best seller at summer festivals. These are super soft, 100% cotton and medium weight. 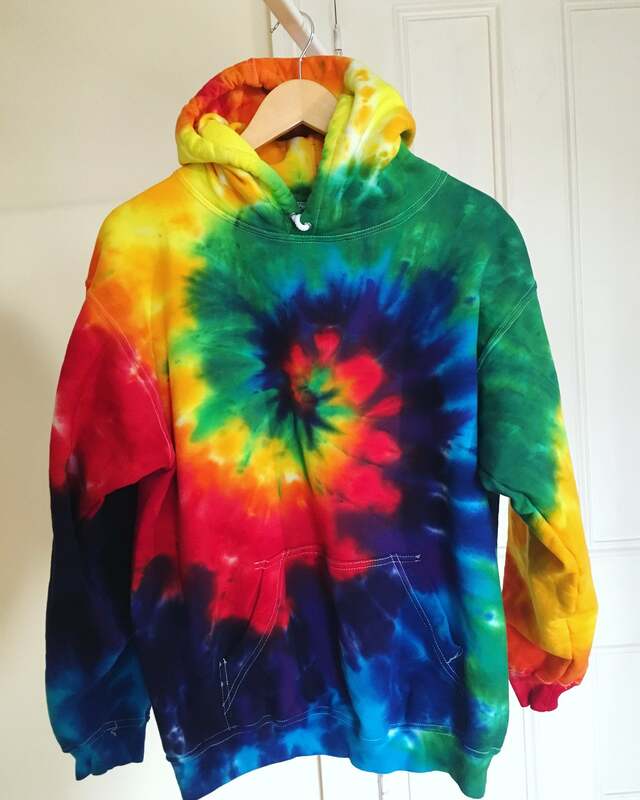 Dyed in vibrant, non toxic dyes. NOTE: We recommend sizing up. Order 1 size up from what you'd usually wear. These fit slightly small.